Gift of Nature lodge is one of the most relaxing lodge, affordable and the most beautiful place to stay while trekking mountain gorillas in Ruhija side of Bwindi Impenetrable national park in south western Uganda. 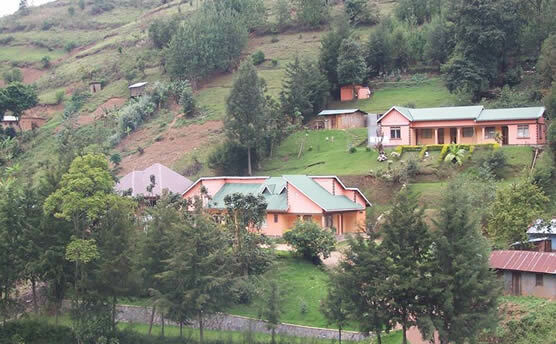 The lodge is strategically situated in Kabale Ruhija Sub County- Mburameizi, on the edges of Bwindi Impenetrable Forest, a home to almost half of the said to be the World’s last remaining population of mountain gorillas. While at the lodge, visitors experience a very conducive atmosphere exhibiting a home a way from home. The lodge is located 9 hours drive from Kampala / Entebbe airport, 2 hours drive from Kabale town, 3 hours drive from Volcanoes National Park Rwanda via Cyanika boarder and 4-5 hours from Kigali, the capital city of Rwanda though Katuna boarder. In this case, tourists especially those interested in tracking gorillas more than once can take a gorilla safari in Rwanda and combine it with Uganda and stay for overnight at Gift of Nature lodge located in the southern sector of Bwindi National Park, either from Kigali or from Volcanoes national Park. The trip takes 2 full hours on this tour around the beautiful countryside.On the trip, clients move to the tea plantation were you will get a stunning view of the vast green mile of well leveled tea plantation. You will get to know all about the process of growing tea and ask questions as well. Then proceed to witness first hand sustainable agro farming practices in the area. 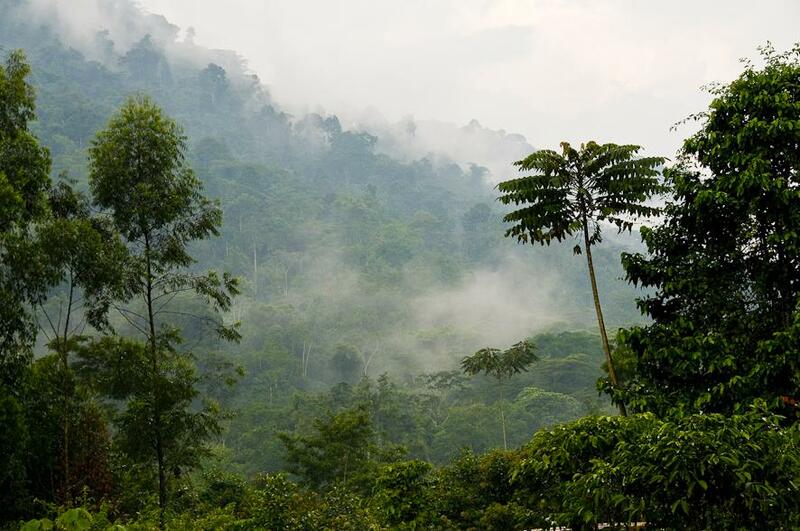 You will then visit the top of Bwindi View heights. After such an interesting tour of the region, you will enjoy some delicious refreshments as relax with your friend. 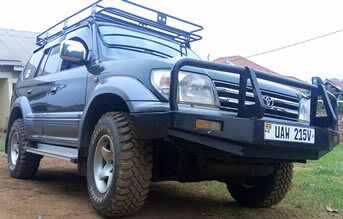 The clearances from Uganda Wild life Authority will permit you proceed with the safari to trek though the lovely green forest for Bird watching, baboon and monkey watching. This is a community tour to the nearby areas. First off we will take a walk to the hilly yet beautiful Bakiiga Terrace farm areas. This walk will no doubt be challenging yet so refreshing as you will enjoy the good air and great scenery of the green miles of hilly terraces. You will then proceed to visit the local Universal Primary Education School to visit pupils at school, go to the local church and then interact with the local communities in these areas. Then you will have the opportunity to visit the breath taking Nyabiiha Falls. This is a legendary Water Fall through a gorge of 30M High with great escapements and the site is amazing. This is approximately a six hour thrill discovery of the Kitaba Community such a lovely place and very friendly people. On this trip, visitors go visit the local Universal Primary Education School and visit the churches. The Kitaba community Bike riding rewards the visitors with the view of amazing attractions like the Ishasha River, Rutenga View. Rushebeya Rock Hill, Agricultural Activities especially the Banana Plantations of Kitaba and the Rugarambiro Hill among others. This is a two hour awesome time of storytelling, cultural dancing, and traditional plays. Visitors enjoy a tale of edutainment from the local historical communities, a wonderful Kikiga dance brilliantly performed by the lovely young men and women of the Bwindi Cultural Hand Craft Group. Ruhijha section where we find Gift of Nature lodge, we currently have 3 gorilla groups habituated for visitors, namely; Oruzogo Group, Bitukura Group and Kyaguriro group. These are the only groups near Gift of Nature lodge. However, if you find no spot for thee groups, you can choose to track Buhoma section, located in the north of Bwindi impenetrable forest. However, its quiet far to Buhoma and you should start early by 5:30 or 6am. Buhoma section also has 3 gorilla families namely; Mubare family, Rushegura family and Habinyanja Family. This is one of the UNESCO World heritage Sites in Uganda, and in habits half of the remaining population of the endangered mountain gorillas in the world. According to the gorilla census conducted in 2011, there are only 880 mountain gorillas left in the whole world and 440 are found in Bwindi Impenetrable Forest, located in south western Uganda. This is Uganda’s most popular tourist hub and gorilla trekking is the main tourist activity and attracts most tourists to Uganda. 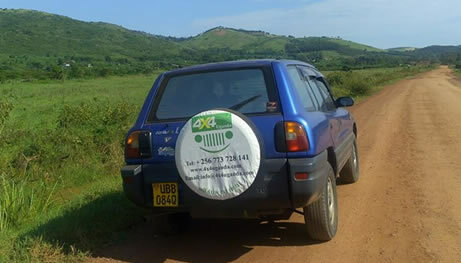 Tourists book gorilla trips through tour operators, some choose to drive their own adventure by booking / organizing self drive tours to see gorillas and other wildlife in Uganda. Today, Bwindi National Park has 14 gorilla families that are habituated and visited by tourist every day. However, the number of visitors per day is limited to 8 persons maximum. This aims at protecting the gorillas and their natural habitat. Visitors are advised to book their gorilla permits in advance because the demand is very high through out the year. Each gorilla permit costs US$600 for foreign non-residents, US$475 for foreigners living / woking in any of East African countries (Kenya, Tanzania, Burundi or Rwanda) with a valid passport and a work permit. Ugandans pay only UGX 250.000 to get a gorilla permit to see / visit the mountain gorillas in their natural setting..